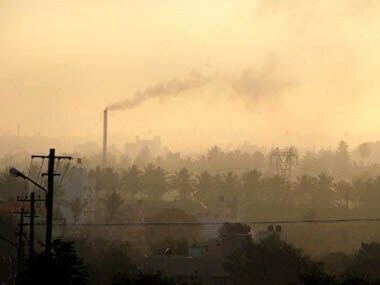 New Delhi: The USAID on Wednesday announced a new partnership designed to support enterprises and projects engaged in the sustainable landscapes sector in order to reduce greenhouse gas emissions from land use. The US Agency for International Development (USAID) is an independent agency of the US federal government that is primarily responsible for administering civilian foreign aid and development assistance. "This ten-year partnership with the Rabobank Foundation, the Ananya Finance for Inclusive Growth, and the Samunnati Financial Intermediation and Private Services will make available up to $15.3 million in local financing to small and medium private enterprises, cooperatives, producer companies and microfinance institutions, directly or indirectly engaged in the sustainable landscapes (agriculture, forestry, and other land uses) sector," said a USAID release shared by the US Embassy here. This partnership supports the government's priorities of improving the livelihoods of forest-dependent people, and small and medium farmers, it said. "This will be done by supporting small and medium forest-based conservation enterprises, and by promoting agroforestry and agroforestry-based enterprises. Agroforestry has the potential to increase the income of farmers, and at the same time divert pressure on the forests for timber, fuelwood and fodder," the statement said. In addition to facilitating the much-needed flow of institutional credit, this partnership will help in demonstrating the long-term commercial viability of lending to the sustainable landscapes sector, the USAID said. The loan portfolio guarantee will encourage projects that practice low-emission land use and land management by preserving or restoring forests, and encouraging agricultural practices that reduce greenhouse gas emissions or increase carbon sequestration, it added. Affirming the USAID's commitment to advancing natural resources security, and improving economic opportunities, USAID/India's Acting Deputy Mission Director Xerses Sidhwa said, "We at USAID are proud to encourage private sector lending in key sectors that are vital to economic development and natural resources security." "Increasing access to credit to groups engaged with the sustainable landscapes sector will help them improve their own lives and improve their surrounding natural environment," Sidhwa was quoted as saying in the statement.